In the first lecture, Dr Stefano will discuss: congenital abnormalities, teratogenic defects caused by drugs used in pregnancy; poor nutrition, low birth weight, trauma; neonatal isoerythrolysis; infectious diseases; diagnosis and clinical approach; intensive care of neonates; intraosseous and intraperitoneal fluid administration; practical aspects of orphan nutrition using home-made diets; case examples. 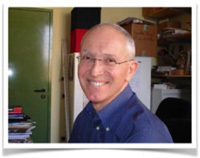 In the second lecture, Dr Stefano will discuss physiopathology of prostate function; benign prostatic hypertrophic; prostates and prostatic abscess; prostatic adenocarcinoma and other neoplastic disease of the prostate; diagnostic imaging of the prostate; practical use of estrogens, progestogens; finasteride; ciproterone acetate; flutamide; GnRH agonists; case examples. Stefano Romagnoli graduated in Veterinary Medicine from the University of Pisa in 1982. After completing his (mandatory) military service as a veterinary lieutenant (May 1983-Aug 1984) he was a Fulbright Fellow at the University of Minnesota, where he completed a Master of Science Degree in Theriogenology in 1986. He then returned to Italy, as an Assistant Professor (1987) and Associate Professor (1991) at the Faculty of Veterinary Medicine of the University of Pisa, and then as a Professor at the Faculty of Veterinary Medicine of the University of Padova in January 2001. He is a Diplomate of the European College of Animal Reproduction, has co/authored 49 papers in refereed journals and more than 230 papers in total including non-refereed journals, book chapters and scientific abstracts. His research interests originally focused on ruminant reproduction, but he subsequently switched to small animal reproduction which has been the object of his clinical and research activity for the last 30 years and for which he is invited to speak at international meetings. His scientific activity has a special focus on reproduction in cats, as he has served as President of the Italian Feline Practitioners Association (1993-1999) and President of the European Society of Feline Medicine (2000-2006). He is keen in developing international collaborations fostering collaborative research projects across countries and continents and advising foreign graduates. He has also been Secretary and then President of the European Board of Veterinary Specialisation (EBVS, 2004-2008 and 2008-2010, respectively), President of the European College of Animal Reproduction (2011-2014) and has served as Secretary of the European Association of Establishments for Veterinary Education (EAEVE, 2004-2008). Following his involvement with EBVS, EAEVE and ECAR he has developed and interest for quality assessment of undergraduate and postgraduate education in veterinary medicine. He has been a team member or Chairperson or Coordinator of teams of experts assessing quality of undergraduate education in 14 veterinary schools in Europe.